Unfortunately, there isn’t a super straightforward answer to this very basic inquiry. But that doesn’t mean you can’t figure it out. Assess the following aspects of your lifestyle to determine if a protein powder supplement is worth your time, money and daily calories. Understand that protein powder is a nutritional supplement. And by that definition, it isn’t necessary for the average person to consume it to be considered healthy or fit. Now, that’s before you factor in various components of your specific lifestyle — just because you don’t need it doesn’t mean you can’t potentially benefit from it. Most Americans already eat more protein each day on average than their bodies need for building muscle, bone and skin and producing hormones, enzymes and other natural chemicals. But that doesn’t mean you fit the bill of “average.” For instance, if you adhere to a vegetarian or vegan diet, it’s possible that you don’t source enough protein naturally from the whole foods you eat every day because it’s more difficult to achieve a true nutritional balance when you avoid certain food groups entirely. 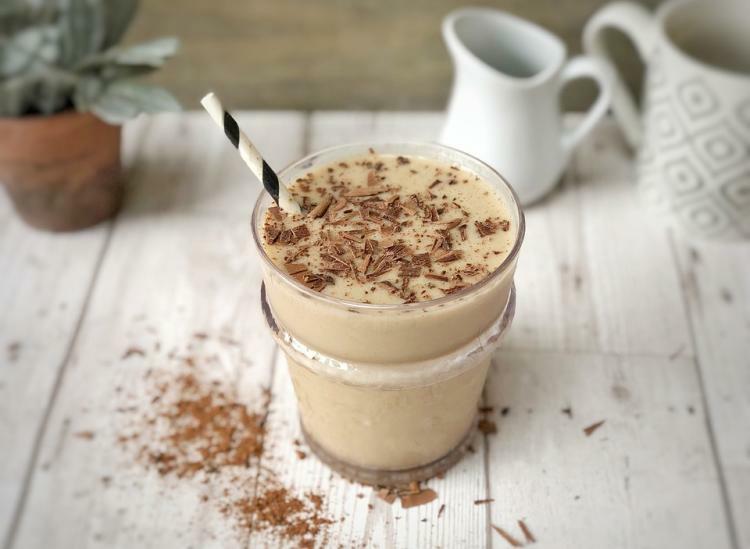 Of course, you can adjust your meal planning to incorporate more plant-based protein sources into every breakfast, lunch and dinner you eat, but sometimes, adding a protein shake to the mix is a much easier solution. If you want to enjoy protein powder as the nutritional supplement it is, great. Just do your macronutrient math to see how many grams of protein you need each day to support your body and stick to that number between your protein powder and normal food choices. Also, as you shop, keep an eye on how many carbohydrates are in your protein powder options. You probably get plenty of carbs from real food, so sticking with a low-carb protein powder can help your body get what it needs and skip what it doesn’t. Finally, watch those added sugars — they’re not doing you any nutritional favors, either. If you enjoy a few yoga classes a week and walk to work, that’s great, but it’s also very different than following a heavy weightlifting routine, powering through frequent high-intensity interval training sessions or prepping for a marathon. The more you move, the more your body can benefit from the nutritional boost that protein powder provides. The less you move, eh, not so much. One of the biggest perks of protein powder is its ability to help your body recover after a long, tough bout of exercise. Experts advise men to refuel with a protein-dominant snack or meal within 60 minutes of completing a workout, and women should do the same within 30 minutes of their sweat session. That’s not a large window of time at all, and many people don’t feel hungry enough to sit down to a full meal after pushing their bodies through extreme exercise. So sipping down a protein shake is an easy way to give your body what it needs without making yourself nauseous. Again, just pay attention to the macronutrient balance and make sure that if you’re treating it like a snack, it is a true snack portion. If you’re trying to build additional muscle mass, protein powder can be incredibly helpful in providing your body with the components it needs to do so. With this goal, a surplus of protein is helpful, and a few extra carbohydrates don’t hurt since they convert into glucose, the energy your muscles use to do the work they do. Many bodybuilders use protein powder both before and after exercise to push harder during their strength training sessions and rebuild faster when all is said and done. On the other end of the spectrum, protein powder can also be helpful for people trying to lose weight in a healthy, safe way. It’s a method by which you can source a lot of quality nutrition while keeping calories relatively low, which is a major component of weight loss. Just be mindful of whether you’re using protein powder as a supplement or as a meal replacement. Often times, when people add it into their current regimen without reducing something else, they end up consuming more calories (and nutrition) each day than their body needs, tipping the scales in the opposite direction. But if it’s a well-balanced meal replacement, you can fuel well, reduce your caloric intake and stave off hunger successfully until your next balanced meal. Now, after that fun run-around, if you think you’re ready to start shopping for a protein powder, here’s everything you need to know about all of the different varieties and how to pick the right one for your body. We know — when it comes to protein powder, everything seems complicated. But we’d rather do too much research and be in the know than accidentally fill our bodies with something they definitely don’t need.